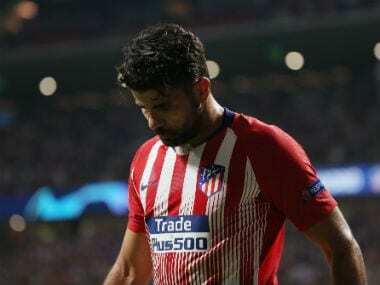 Madrid: Diego Costa watched on from the directors' box as Atletico Madrid leapfrogged Sevilla into second in La Liga thanks to goals from Yannick Carrasco and Antoine Griezmann in a 2-0 win at the Wanda Metropolitano on Saturday. 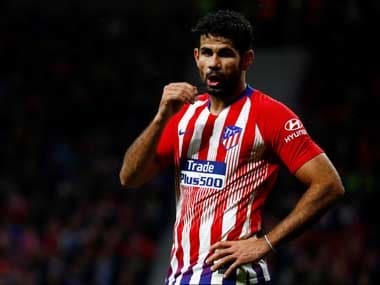 Costa's drawn out move back to Atletico from Chelsea was finally agreed on Thursday, but the striker isn't allowed to feature until the January transfer window opens. However, the man who fired Atletico to La Liga in 2013/14, could still have a vital part to play in Atletico's title challenge as they maintained an impressive start to the season despite the difficulties of a ban on registering new players and with their first three league games of the season away from home as a new 68,000 capacity home was completed. Sevilla travelled to the Spanish capital unbeaten so far this season and came close early on when Pablo Sarabia's shot was deflected onto his own post by Stefan Savic. 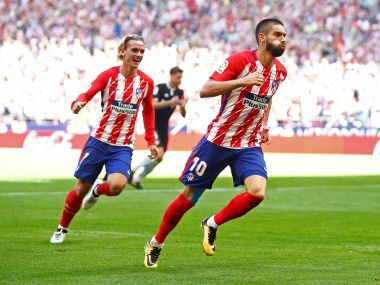 At the other end Filipe Luis then smashed the underside of the bar from Yannick Carrasco's cutback in Atletico's best effort of a first-half short on clear-cut chances. 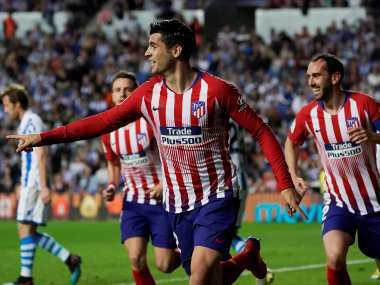 However, it took less than a minute of the second-half to break the deadlock when Carrasco showed great awareness and pace to latch onto a short back pass from Steven N'Zonzi to beat Sergio Rico to the ball, round the keeper and slot into an empty net. Griezmann then made the game safe 20 minutes from time as the French international won a tackle inside the Sevilla box before lifting himself off the floor to receive Luis's pass and drill through Rico's legs. Diego Simeone then quickly withdrew Griezmann and Carrasco to keep them fresh for Wednesday's visit of Chelsea in the Champions League. 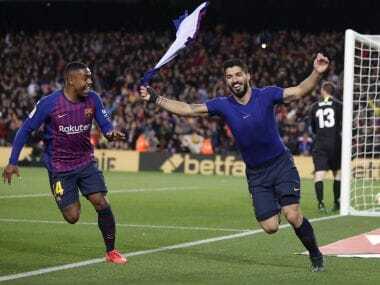 But Atletico comfortably saw out the final stages to move to within a point of La Liga leaders Barcelona, who travel to Girona later on Saturday. Real Madrid are also in action later at Alaves as they aim to close a seven-point gap on Barca following a shock 1-0 home defeat to Real Betis in midweek.